MANILA, Philippines – Catriona Gray of the Philippines made it to the top five finalists of the 2018 Miss Universe pageant being held in Bangkok, Thailand on Monday, December 17 Manila time. TOP FIVE. Congratulations to Miss Philippines Catriona Gray! 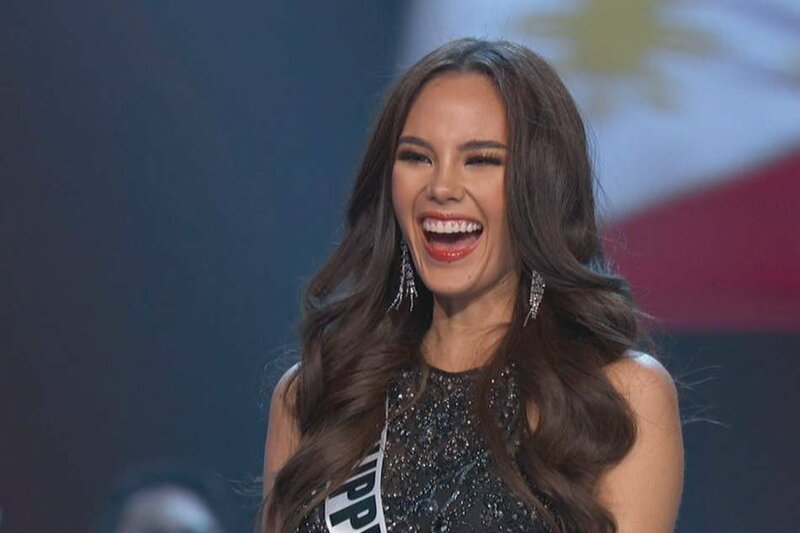 Catriona Gray impressed the crowd with her opening statement: "It was lack of child support, not poverty, that killed their dreams... We owe it to our children to believe in them." She slayed in pink swimsuit and did her iconic slow-mo show-stopping twirl during the swimsuit portion of the competition. The Filipino bet was fabolous and fiery in her evening gown. The top 5 will compete in the Q&A portion, and are then cut down to a top 3. This year's winner will receive the crown from Miss Universe 2017 Demi-Leigh Nel-Peters of South Africa. The country so far has 3 Miss Universe titlists: Pia Wurtzbach in 2015, Margie Moran in 1973, and Gloria Diaz in 1969.